You have different outfits for different occasions, different décor for different rooms in your house, and different shoes for different types of weather. Very few things are one size fits all, and lunch containers are no exception. It makes sense that you should have variety when it comes to outfits, furniture, and shoes, so you should also be able to have the same flexibility when it comes to storing food. Below are some ways owning a bento lunch box set can enrich your life. Using a bento lunch box set is gives you the most flexibility when it comes to meal prepping. Instead of being confined to one size box, you can mix and match different sizes to suit your dietary needs. For example, a bento lunch box set is ideal if you want to maximize your fruit intake and decrease your carbs. You can use the dividers in a large bento lunch box to pack several types of fruit and put some crackers into a smaller bento container. None of your meals are the same size, so why should your lunch containers be? Packing cereal in a large container is a quick way to increase your portion sizes without even noticing, not to mention a waste of the valuable space in your bag. However, that extra room will come in handy if you are packing fish for lunch and want to add a side of potatoes. When you use a bento lunch box set, you are guaranteed to have the perfect size container for any meal you want to enjoy. Your toddler might say that they can eat a meal twice the size of yours but more often than not, their eyes are bigger than their stomach. By packing their snacks in age appropriate containers, you can cut down on waste while allowing them to feel like they have a full bowl. On the other hand, a high school student needs to pack snacks that will hold them over until after their extracurriculars are finished, so a larger snack bowl makes sense. 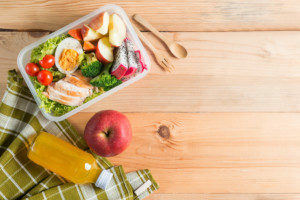 If you pack a sandwich in a bento lunch box every day, you are already doing the environment a favor by decreasing your footprint by approximately 365 plastic bags per year. With a bento lunch box set, you can pack your snacks in reusable containers too and keep pounds of non-reusable food storage out of landfills. Kangovou’s bento lunch box set even includes a cup for younger children so you can cut down on your juice box consumption as well. Recycling one large plastic juice container is infinitely more eco-friendly than throwing juice pouches into the trash every day. Many bento lunch box sets are dishwasher safe, so you can save hours of hand washing every week. Kangovou’s bento lunch box sets have 18/8 stainless steel dishware inserts which are not only one of the safest materials for food storage, but also incredibly easy to clean. If you do not have access to a dishwasher, the stainless steel surface washes quickly and has rounded edges to prevent food build up in corners. From pureed baby foods to workplace lunches, a bento lunch box set will keep your meals safe until you are ready to enjoy them. Kangovou’s four hinge lock-tight lids ensure that your food is sanitary, whether you are meal prepping or storing leftovers. 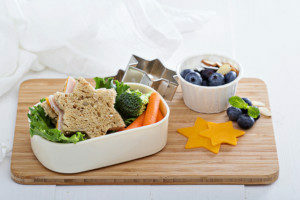 Bento lunch boxes are great for lunches, but that is not all they can be used for. They are also a great way to store homemade baby food purees, cookie dough that needs to harden before baking, or larger fruits that you prep in bulk such as melons or cantaloupe. Bento lunch boxes can also accommodate hot, room temperature, refrigerated, and frozen foods, so the possibilities are endless! The containers you store and serve your food in should be as high quality as the food you pack. To take a look at the safest bento box sets, head to kangovou.com. Kangovou’s products were designed by moms and cover all the bases when it comes to safety, versatility, and environmental sustainability. With these products, you can enjoy your meal knowing your food is stored in the highest quality containers.